You Finally Started Your First Business. Now What? The “next step” is every entrepreneur’s dream. It means you’ve survived the initial teething issues and have a real business that has the potential to generate real income and business growth. You’ve got your website, set up your social media accounts, got your finances sorted out (hopefully! ), and you’re now exploring steps to go to the next level in terms of your business’ growth. To make your business viable for the long term, there are three essential steps that you need to take once you’ve ticked all the boxes of initial setup for your company. First, you need to scale your business. And what does that exactly mean? Scaling is about whether your business can be successfully repeatable (i.e. whether you can hire X many more people to bring in proportionally more business). 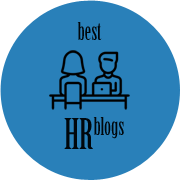 For example, the services offered by these 4 rising HR tech startups can be used across many industries because HR is an important component of any business. Second, you need to hire to expand your team. The fact that you’re at a scaling stage means you need more than yourself to make your business a true success. 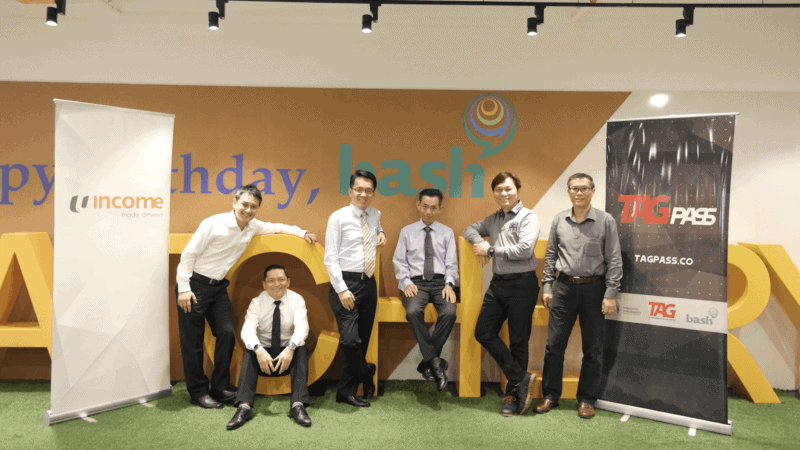 One resource you can consider is NTUC U Startup, which is looking at helping startups with talent acquisition and management by matching experienced working people to startups. And last but not least, you need a solid financial model. Scaling is a pretty hairy time and is probably the No. 1 killer of startups, so you need a decent financial model in place to make sure this expansion makes financial sense and does not bankrupt you and your business. Learn from these startups that got multi-million dollar funding. Before you get excited and start thinking about all the “fun” parts of scaling your business (such as getting that swanky new office or hiring a bunch of people), the most important thing to do is to check that you’re absolutely certain you’re ready for it. You are able to sell your product/service repeatedly without much modification. You are able to deliver goods and services systemically without compromising quality, whether there are 2 orders or 2,000. Your business can survive without you being there 24/7. Your business has fail-safes and circuit breakers in place that enables it to sustain itself, even if there are a few unforeseen glitches in the business process. Your business model is solid and does not need to pivot or change direction drastically. If you’ve answered yes to all of the above, you’re pretty set to scale your business. First things first, you don’t have to scale in a massive way. You can choose to scale on all fronts, all at once but that is rather risky and ambitious. Determine your appetite for risk and financial capacity and scale accordingly. If you’re only “safely” able to start scaling in one part of the business, then start small. Hire one more person or build out one department at a time. You don’t have to set up your entire business infrastructure from day one and have a sales, legal, accounting and HR team from the get-go. The first place people usually start scaling is on production of the actual product as scaling has a lot to do with anticipating demand. If you’re covering your expenses and doing well with a skeleton crew, but realise that, if you acquired two or three new clients, you wouldn’t be able to meet their demands, you’re running a little behind on the scaling front. Timing is crucial as, too early, you could go bust as you may spend too much, too soon. If you scale too late, you’ll lose credibility and valuable business if you’re unable to meet orders when demand increases. Scaling also has a lot to do with the industry you are in. For example, a software company tends to scale well because once the software is written, you can sell your product over and over again without needing to add on any more headcount or resources. If you’re in manufacturing, you may be able to achieve greater economies of scale when you sell more. For example, if you’re able to produce 200 teddy bears with one sewing machine and one seamstress, you may be able to make 500 if you hire an extra seamstress to help work the machine for longer. But if you have a high-touch business which involves more than average human interaction with customers, you may want to think hard as scaling for your line of work can get costly. Hiring a great group of people to work with you is critical to your company’s success. Make sure you invest plenty of time and, if necessary, money to hire the best professionals you can to help grow your business. LinkedIn is an awesome tool to use, if your hiring budget doesn’t allow for headhunter fees. With more than 450 million members worldwide, LinkedIn is the world’s largest professional network on the Internet. 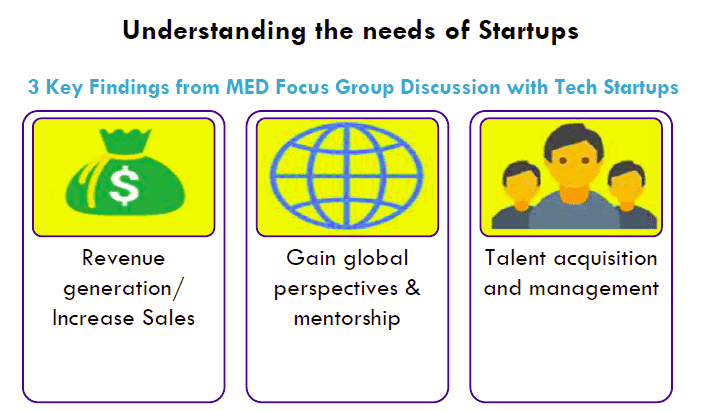 Experience in startups: Hiring for a startup is quite different from hiring for large corporations. They are two completely different types of people and mindsets, so try to look for a person who has experience working at startups or small businesses. Personal experience in own business/projects: This is about mindset and comfort zone. People who have experience running or starting their own business or projects may have a more entrepreneurial mindset. They may also be more willing to try new things, work in smaller teams and learning/acquiring new skills. Check their social media: In this digital age, you’d be silly not to check out the social media accounts of your prospective hires. You can learn a lot about a person from Facebook or Twitter. Longevity in jobs: As a startup, you need stability as your business expands. You simply can’t afford to hire someone who has a habit of jumping from job to job. Make sure your potential candidates have at least 2-3 year stretches in jobs. Creative applications for creative jobs: If you’re hiring a graphic artist or a web designer, encourage them to show off a bit of their skills in their applications. It’s a great way to weed out boring applicants that don’t make the cut. Transparency on both sides: Be honest and forthcoming about what your needs are and what the job may entail. Startups often need many jack-of-all-trades to get the business moving smoothly. If that is what you require, be honest and tell your candidates about it. You’ll see a lot of turnover if you aren’t direct and candid about your expectations. Use referrals as much as possible: Some of the best hires in businesses big and small, come from referrals. Encourage your existing employees to refer good candidates as they know the company and could help gauge whether someone would be a good fit in the company. Networking with the Labour Movement to find talent (and business leads too): Leveraging on the expanded Labour Movement network, startups can work with NTUC U Startup to find match talent, and also meet organisations in similar industries such as healthcare together to find synergies. You might be wondering if building a financial model is way premature at an early stage in your business. You have a hard enough time meeting orders on time, so it may seem like a bit of a luxury to spend money and time building a financial model. There are so many reasons why you need to build one from the start. It may be daunting as so many free templates you’ve seen online seem to be super complex. Before you start hyperventilating and give up altogether, just remember this. A financial model is just a dynamic document that helps you structure and focus your business. Nothing more. Help you understand your assumptions and goals. Help you understand cost structures and pressure points. Force you to look at cash needs and aid in scaling your business. The temptation is always there to go for a quick and easy option of a free template. But if you’ve looked through some of the ones available online, you’ll quickly realise that they will likely end up costing you more time. You will undoubtedly need to make many adjustments to any templates to suit your own needs. This means you’ll likely just end up frustrated and confused as you’ll inevitably not understand some element or another (which may come back to haunt you later!). You should know every column, row and cell in your spreadsheet. You should know it inside out as it will help you better manage your business. So the best thing to do is to create your own from scratch. And if you plan to seek investors in future, they will definitely want to see a financial model before they even think about committing to an investment. It will be miles easier to be communicate your business plan if you know your financial model like the back of your hand. If you decide to build your own financial model from scratch, you may also be tempted to use Google sheets or other financial modelling apps out there. But future investors will prefer to see financials in Excel so create your model from the start in Excel. Try pitching your financial models and products to startup accelerators, such as NTUC Income’s Future Starter and DBS HotSpot. A financial model usually has three standard statements: income statement, a balance sheet and cash flow statement. Income statement: Shows revenues, expenses, gains, and losses; it does not show cash receipts (money you receive) nor cash disbursements (money you pay out). Bear in mind that revenues occur when money is earned, while receipts occur when cash is received. Gains and losses are those that occur outside of normal business activity, such as a sale of a long-term asset. Balance sheet: Presents a company’s financial position at the end of a specified date. Its major components are assets, liabilities and equity. Assets are things the company owns, such as cash, inventory, equipment and land. Liabilities are amounts owed to creditors for a past transaction and they usually have the word “payable” in their account title (i.e.notes payable, salaries payable, accounts payable). Equity refers to an ownership interest in a business such as stockholders’ equity. Cash flow statement: This is the most important one for a startup! This is the one that will tell you whether or not you can do essential things like pay employees and bills. The statement breaks the analysis down to operating, investing and financing activities and is very useful in determining the short-term viability of a company. Creating these statements shouldn’t do your head in or break the bank. You don’t have to seek the help of an accountant from the start or have a full-on financial team. Start simple and small. It really isn’t rocket science. In the beginning, you shouldn’t have that many items to confuse or throw you off. Once your business begins to take off or you want to start seeking investments, you may want to look for a professional to help finesse your model. The “next steps” in business are daunting yet rewarding! When you hit that point where you feel you may be able to scale your business, it is a milestone to celebrate for sure! But this is the critical point in your business, not the start. This is the point where your business could really take off or fall flat. Be mindful about your every move and try to gauge when it would be best to take giant leaps forward or cautious, baby steps. Your business is your baby. You can’t be there for your kid every step of the way, 24/7. At some point, you have to let your child grow and have the ability to survive without you being there 100% of the time. The same goes for your business. Scaling means you will need to structure your business to be somewhat independent of you, so that it doesn’t collapse if you decide to take a holiday for a week. And to scale your business, you need people. You can’t be omnipresent, you can’t do everything yourself. Though we are making awesome advancements in artificial intelligence, the success of a business still hinges on its most valuable commodity – its people. Hire employees that share your vision and passion for your company. They need to be committed and feel excited about working in a startup and be able to multitask and take on a great deal of responsibility. A financial model helps you and your team visualise where you are at and where you aim to be. It forces you to think, on a daily basis, about your spending and the health of your business. If you plan to try to attract investors into your business, a financial model shows them that you have a solid, defensible plan and clearly understand your business and the levers that drive it. Congratulations for hitting this remarkable milestone and good luck!